KUALA LUMPUR: Much has been said about how the anticipated high speed rail (HSR) from Kuala Lumpur to Singapore will slash travel time to as few as 90 minutes, thus expediting the rapid movement of people between the two countries. However, this particular HSR project is much more than just a mere transportation project, even if its very basic premise is to shorten travel times. Critics who rail against the project on the grounds that there is very little, if at all any, need for one to be whisked rapidly to and from Singapore, often miss the fact that there is now an opportunity to create entirely new townships around the seven stations on the Malaysian side – Bandar Malaysia (KL), Putra­jaya (and by extension, southern Selangor), Seremban, Ayer Keroh (Malacca), Muar, Batu Pahat and Iskandar Puteri (all in Johor). HSR has the ability to compress geographical distances, and with that, change entirely how people live, work and play. Imagine the ability to get to Seremban from KL in possibly no more than 25 minutes. Love Malacca? A trip from Bandar Malaysia to Ayer Keroh can be made in approximately less than 40 minutes, which is even shorter than what some Klang Valley residents endure while driving to and from work every day. And for Muar and Batu Pahat residents with jobs in Singapore, daily travel to work can be as short as approximately 45 minutes and 30 minutes, respectively. This drastic shortening of travel times will open up many possibilities, some of which are unimaginable in the pre-HSR era, contends MyHSR Corporation Sdn Bhd, the Finance Ministry-owned entity tasked with managing the bilateral project. “The HSR will enable the spreading of development out of the Klang Valley,” says MyHSR Corp CEO Mohd Nur Ismal Kamal. The Malaysian government wants to harness the agglomeration of resources and human capital from combining Kuala Lumpur with Singapore, along with six Malaysian cities. “It is about being seen as an integrated market when multinationals and investors look at the area. Combining KL (six million people) with Singapore (five million) gives a population of around 11 million, which is a larger consumer market and talent pool compared to viewing the two cities separately. This is enabled by the fact that people can move freely from end to end in just 90 minutes,” says Mohd Nur. “It is not about size nor ranking, but about being seen as an integrated market in many aspects, including GDP. When you bring cities closer together, they start acting like a large single entity. In this case, HSR is able to overcome physical distance by shortening travel times. “The HSR will further enhance the GDP growth of intermediate cities such as Seremban, Ayer Keroh, Muar and Batu Pahat when managed properly in tandem with the availability of HSR. “With the HSR operational in 2026, you could potentially have vibrant cities along the southern corridor all the way to Singapore,” he says. MyHSR has been conducting extensive studies of HSR-related developments globally to find the right model for Malaysia. It is cognisant of the fact that the mere presence of HSR in a town alone is no guarantee for success. 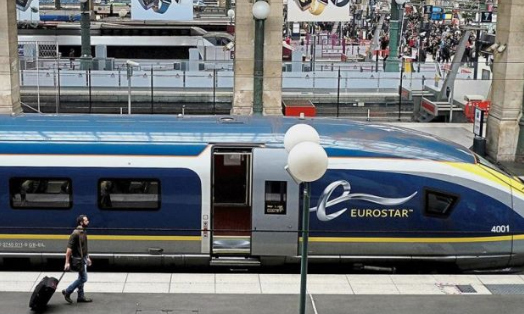 In particular, it wants to emulate the examples found in Shin-Yokohama after the Tokyo-Osaka HSR started operations in 1964, as well Lille’s following the commencement of the London-Paris HSR service in 1993. “Developments and activities around the stations have to be planned from the start,” says Mohd Nur. In Shin-Yokohama, the development of the biotechnology and ICT industries happened with target policies and incentives driving the efforts. Combined with other enabling components of a city such as improved connectivity through public transport, the city saw an increase of 147% in the population and approximately 700,000 jobs created from 1966 to 2006. To prevent sub-optimal developments from sprouting around HSR stops, MyHSR Corp is collaborating with public and private agencies to ensure that everyone is on the same page. Thankfully, all the states are clamouring for HSR, which is a good start, according to Mohd Nur. “Besides the partnership with Economic Planning Unit, we are working with other federal government agencies, state authorities, statutory bodies, as well as private organisations and associations to ensure all the benefits arising from HSR will be realised. “We are helping to set the direction of development. To spur the right kind of activity or industry, our plan will have incentives, the provision of basic infrastructure, and so on. All this requires federal intervention, and all parties have to work together to push this comprehensive agenda forward. “In this regard, the conversation to create synergy has to cut across the entire corridor, rather than leaving them to grow on their own. We have to ensure complementary growth – this goes back to minimising overlapping, to allow each city to capitalise on their respective unique propositions,” says Mohd Nur. The HSR can help to realise the aspirations in the 11th Malaysia Plan (2016-2020), the Economic Transformation Programme, the Government Transformation Prog­ramme, the respective State Struc­ture Plans, as well as Local Struc­ture Plans (Rancangan Struk­tur Tempatan). “All these will be taken into consideration in our Strategic Deve­lopment Framework (SDF), which is premised upon the economy, inclusiveness, and sustainability pillars. There are efforts to ensure effective local participation, and there definitely has to be a spillover of benefits to locals in terms of jobs, transit oriented developments, and so on,” says Mohd Nur. “MyHSR Corp has been actively doing many engagements over the entire year, going back as far as January. There were labs with the public and private sectors to test the viability of ideas and proposals,” he says. 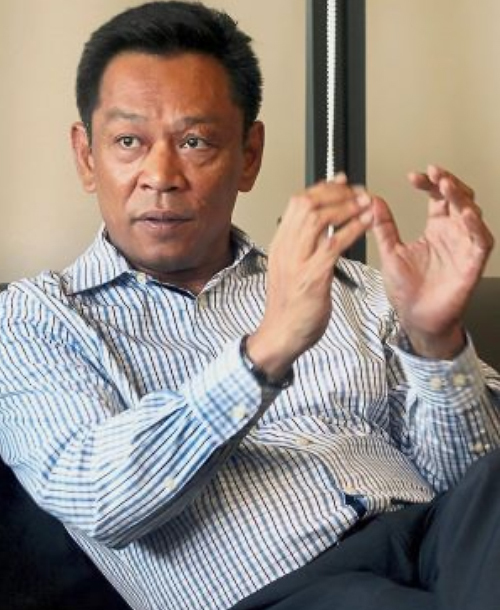 Mohd Nur stresses that every­thing about HSR-related developments is never top down. “This is not an independent plan crafted in a silo. It is about fulfilling earlier plans like the ETP and so on, and giving them a much needed boost. “A lot of the components of the ETP are incorporated, with focus areas including healthcare, tourism, and financial services. It is about alignment of interests. “The right (federal) incentives will be there to spur the desired kind of activities, and we are working with Mida, Matrade and Miti to come up with them,” says Mohd Nur. He assures that there will be intense joint scrutiny of every development proposal to ensure they make economic and rational sense. For sure, the HSR project is capital intensive, even if MyHSR is in no position to reveal how much it expects the final cost will be as an international tender will be called soon. “We should not merely look at the financial payback period. We are looking more at the economic rate of return, which is way more important,” says Mohd Nur. Based on a study conducted in 2015, the wider spillover benefits from HSR is estimated in the region of RM21bil of GDP in 2060 with 111,000 jobs created. This is on top of the direct and indirect GDP impact in the region of an estimate RM29bil, as well as RM70bil in multiple benefits from the construction process. “It is not just building a railway. It is about turning the southern corridor of the country into an economic powerhouse, which is all part of a grander plan to achieve the aspirations of the country by creating jobs and wealth so that we can be a high-income nation. “There is a plan, and we are putting into place a mechanism to make the plan happen,” says Mohd Nur.